￼￼The collection that we are presenting here really is of a superior quality that surpasses all the superlatives. It is – very appropriately - named Heliodor. Heliodor (‘helios’ is Greek for sun) is a sunny yellow shade of beryl, a precious gem that is less wellknown than stones such as emerald. 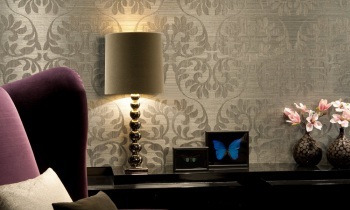 The most amazing feature of this wallcovering is the fact that it is handmade. The basis is irregularly woven sisal in one colour. One of the threads however, has a subtle glow and the warp and weft varies, to produce a myriad of gorgeous colour gradations. In the next step, a pattern is cut from the sisal with painstaking accuracy. This must be done very carefully so that the fabric does not unravel. The cut-out elements are then combined and glued in a pattern to give a ‘trompe l'œil effect. 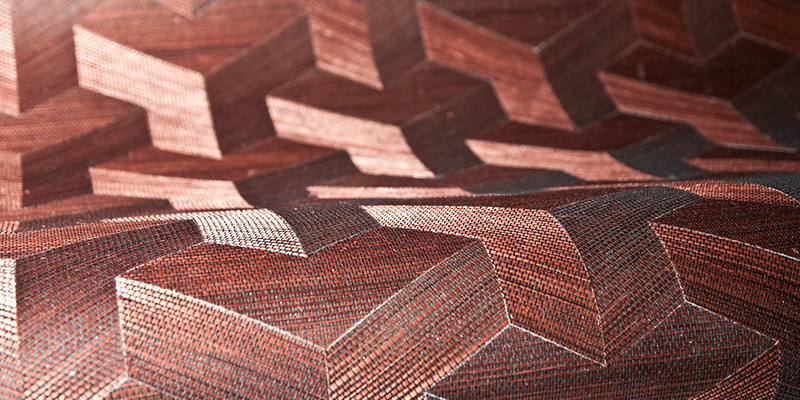 Varying the angle of the weave has created incredible effects of depth and relief. 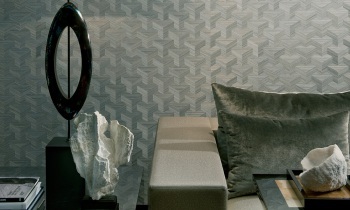 EscherThis collection has three different patterns. The first drawing – Cube – is extremely angular and mathematical. One can’t help being reminded of the work of the Dutch graphic artist Maurits Escher. Escher was an unusual artist; someone who tried to transcend the artistic limits of the flat, two-dimensional surface, to create an illusion of depth and add a third dimension. If you are not so fond of straight lines, you may prefer Scale, an elegant pattern that could be described as organic or arabesque. When you realise that this pattern has been cut and glued by hand, you will immediately understand how much patience and craftsmanship has gone into making this collection. The result is an interior that fascinates and commands respect. GinkgoThe third design is called Leaf, and indeed, the pattern resembles the leaf of the ginkgo biloba, the Japanese nut tree. On the two halves of the leaves, the weave of the fabric is twisted differently, so that you see thicker and thinner threads, sometimes on the right and sometimes on the left. The different shades shift and change, depending on the light, from greenish ochre and gold to brown, from light blue to darker blue or from brown to black. The effect is endlessly fascinating. The colour range has been kept to a consistent theme which not only includes silver, white, black and gold, but also the typical jewel shades of other precious stones, such as ruby red, emerald (a special green), amethyst purple and dark lapis lazuli blue. This is a collection that should not be missed.